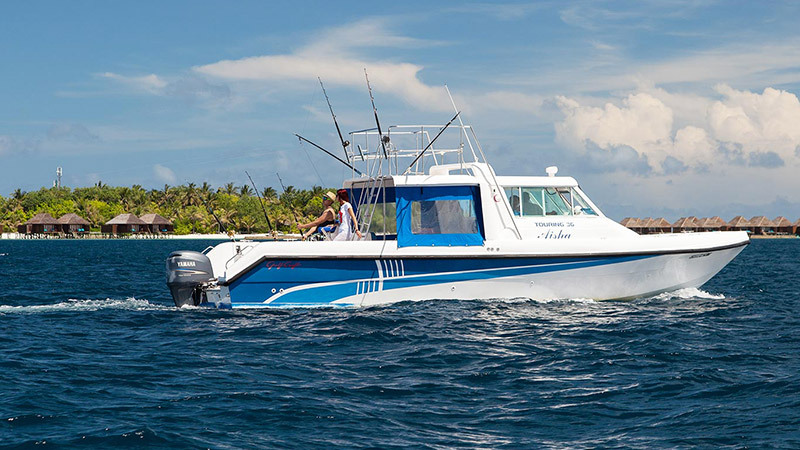 Big game fishing in the Maldives, also known as offshore fishing or blue-water fishing, is a recreational activity, which targets the capture of larger open-water marine species, which inhibit the deep waters beyond the outer reef. Interested in trying? Hop aboard our 11-metre fishing boat charter for a half day or full day excursion and embark on an electrifying adventure at sea in pursuit of big game. The trip includes morning coffee, pastry, soft drinks, and water. The use of fishing equipment is included. Kindly note that broken tackle, line or missing lures will be charged to your account. Kindly note the minimum age for this trip is 12. All children under the age of 16 must be accompanied by a parent.